Workshop Service - Carl Stahl - løftegrej, stålwire, kædesæt, rundsling m.m. 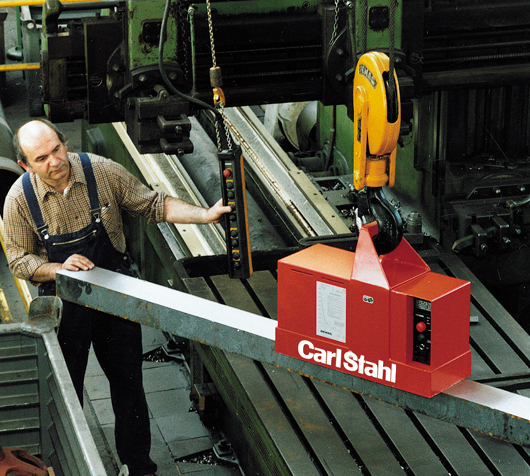 CARL STAHL A/S has workshop facilities four places in Denmark. All of our workshops are equipped with special machinery and tools for repair and maintenance of lifting equipment. Our experienced service technicians are your guaranty for professionally and properly performed repairs and maintenance. Regular workshop visits ensures your equipment the optimal operational reliability, and thus decrease expenses. Contact us by phone +45 76 24 02 34 or by email info@carlstahl.dk and receive an offer.